In the New Jersey Pine Barrens, there is a band of mythical beings which visit Evan Wilder to reveal melodies, rhythms and other information to him. In dreams. Or something like this. They are called Cloud People. They have just today released their 9th release on Batona, and it is the last of its kind. It contains remixes of the previous 8 releases, with a few new ones. One of the new ones, "Shamong" is remixed by At Work. The album also features remixes by Ambient Fabric (Norway), Jason Carr (Philadelphia/Detroit), Yung Coyote (New Jersey Pine Barrens), and Messier Object (deep space). It combines Micromoog, live drum kit, djembe, guitar and more, arranged in a deconstructed break down of chop-ups and fine edits. It builds up and down and back to make an epic theme for and inspired by Shamong—a place in the Pinelands, with a name said to translate from Lene-Lenape to 'land of the Devil'. 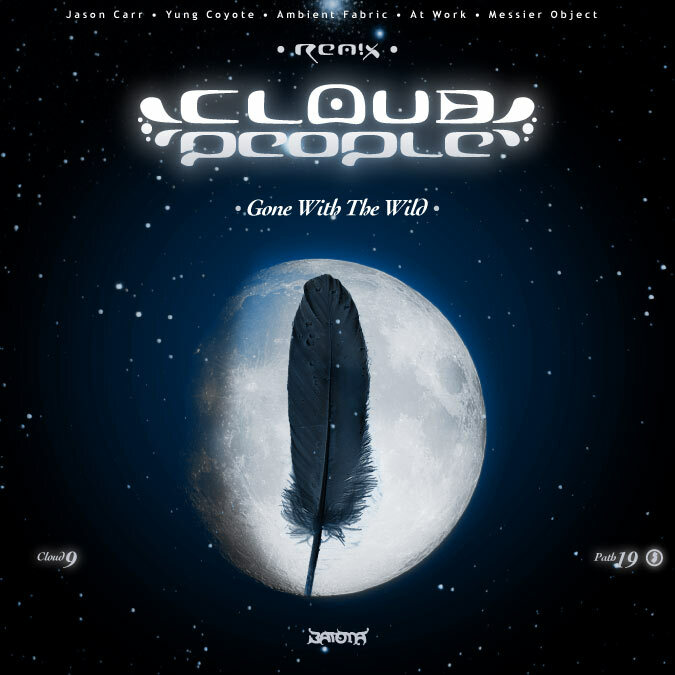 Cloud People's Gone With The Wild (Cloud 9, Batona catalog number: PATH19) is available here.